The word ‘psychedelic’ comes from the ancient Greek word ‘psychē’, which means ‘spirit’ or ‘soul’. These spirit revealing substances can often cause a deep level of understanding and awareness with new insights. Not just with regard to our own minds, but about reality and existence as well. In this article we’d love to tell you more about five drugs which could cause psychedelic trips. The most famous mescaline cactus is Peyote (Lophophora Williamsii), although there are many other varieties, such as the San Pedro cactus (Echinopsis pachanoi) or the Peruvian Torch (Trichocereus peruvianus). In Central America, Mexico and the southwestern Texas the Peyote cactus has a long history. It was used in sacred ceremonies and shamanistic rituals. Therefore the psychedelic effects of the cactus have been known for thousand of years. The name ‘Morning Glory’ is used to indicate more than 1000 species of the Convolvulaceae family. These are flowers that occur in several countries all over the world. Some types of Morning Glory have been used since ancient times for recreational and medicinal purposes, such as the Turbina corymbosa and the Ipomoea tricolor. Our Morning Glory seeds contain LSA: a special entheogen which generates an meditative, introspective and visionary state of mind. Besides that, it’s a beautiful plant as well! Ayahuasca is widely used as an entheogenic medicine in shamanic rituals in the Amazon region of South America. They discovered the mental and spiritual condition of their patients by using ayahuasca. Ayahuasca is not a plant, but it’s a brew made of several substances. Under the guidance of a shaman (or someone with similar knowledge and the amount of experience) people drink ayahuasca, after they often end up in conversations about spiritual topics and deep desires. Magic truffles are underground growths (the sclerotium) of certain magi mushrooms. They look different and taste differently than magic mushrooms, but have the similar psychedelic effects: these truffles can create a psychedelic experience. This can vary from unusual ideas and new insights to visions and deep spiritual understanding. Just like other magic mushrooms, the psychoactive compound is psilocybin. The amount of psilocybin and the strength of the effect may vary, depending on the type and dose of magic truffles. 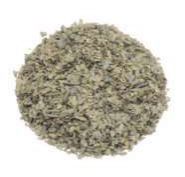 Salvia Divinorum is also called ‘sage’ or ‘holy sage’. 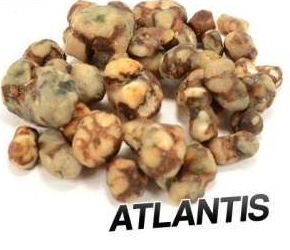 It is considered one of the most powerful, naturally occurring psychedelics. The plant comes from the humid, sky reaching forests of Mexico. Priests and shamans have been used Salvia Divinorum for hundreds of years at sacred rituals, to create visions and spiritual experiences. It’s usually smoked or people drink it like tea.